Get Your Photocopier Service Now! specialist and get free consultation. Your office copier is an important part of doing business. Pro Printer Repairs Brisbane specialise in all aspects of photocopier service, maintenance, setup & installations. 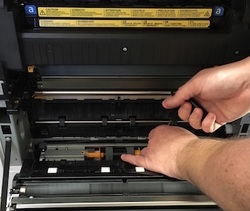 Our Copier I.T team will have your copier configured on the network in no time to ensure your scanning, printing and any other copier service feature is up and running normally. We offer copier repair & service on all leading photocopier brands including Ricoh, Canon,Toshiba, Xerox & Kyocera Mita just to name a few. We ensure you receive the most experienced copier repair technician for your particular brand. Our work is backed by our service level guarantee ensuring you vital piece of office equipment is serviced to the highest possible standard. Call Pro Printer Repairs, Brisbane's trusted copier & photocopier service company. Need A New Office Photocopier? Call (07) 3096 0366 to speak with a local, Brisbane print specialist. We offer no obligation advice for all your ink jet printer, laser printer, digital multi-function photocopier, wide format printer & HP plotter requirements. 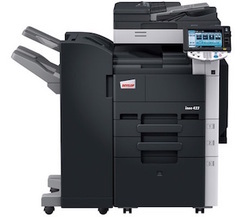 We offer free installation on all printer, copier & plotter leases & rentals. Brisbane's Best Prices On Printers & Photocopiers We Stock, Guaranteed!